Who Can Host a Pride for Parents Drive? Each year at Christmas, we set up a modest store where neighborhood parents can purchase gifts for their children at drastically reduced prices. This program - called Pride for Parents - started with one simple belief - that families would prefer to provide for themselves at Christmas than receive a handout. We have seen the delight as parents, grandparents, and even older siblings, have selected and purchased the perfect gift for their loved ones. It’s a joy to see families we serve throughout the year have the opportunity to be generous and celebrate together. 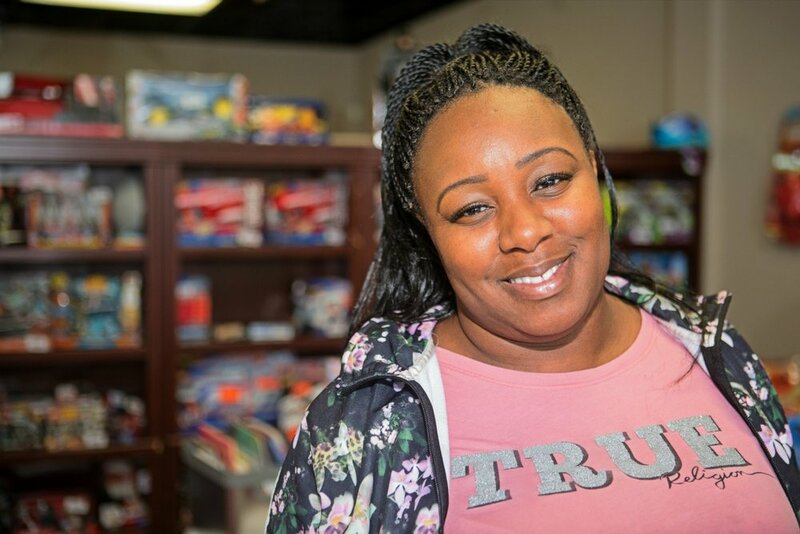 We also have the privilege of seeing Atlantans from many walks of life enjoy being generous as they host Toy Drives and collect Legos, books, basketballs, and Doc McStuffins dolls for parents to purchase. We rely on the generosity of local groups to stock and prepare our store for the busy holiday season. Churches - We are grateful for amazing church partners who set out donation bins in the church lobby or collect toys at Christmas events. Businesses - The holiday season is a wonderful time for businesses to get their employees involved in giving, and we’re so glad to have such terrific businesses who support Pride for Parents. Scout Troops - Is there anything cuter than a group of kids being generous? And who better to shop for the latest toys than your troop or club or other kids’ group? Schools - One effective way to engage young people has been working with schools. We’ve enjoyed connecting with civic clubs from local schools and seeing those students happily deliver gifts to our store! Sunday School Classes or Departments - Some churches or businesses may feel too large to coordinate a Toy Drive, but Sunday School classes or individual departments can host their own collections as well. As you can see, anyone can host a Toy Drive for Pride for Parents! And we’d love to add your organization to our list this year! For information regarding Toy Drives, please check out our Action Kit or reach out to FCS Executive Director Katie Delp.